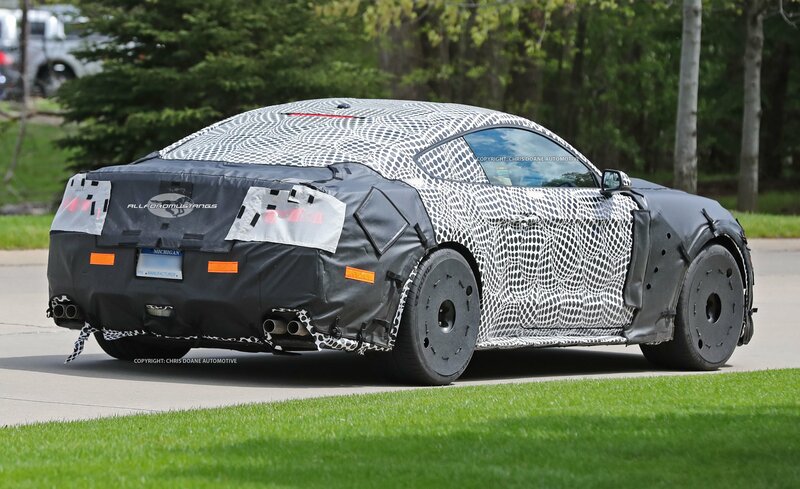 What’s believed to be a development mule for the next GT500 was just found roving the streets of Detroit wrapped in leather and psychedelic patterns. 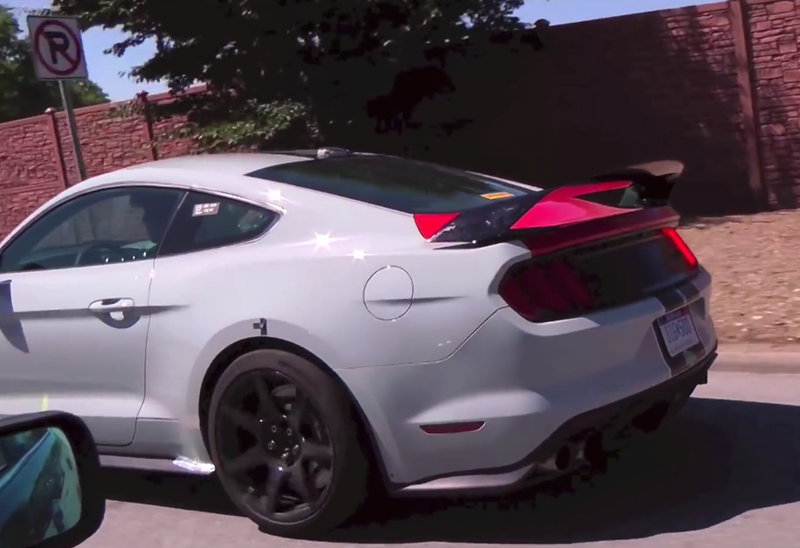 The internet can’t decide if it’s a twin-turbo’d 5.0-liter V8, or a supercharged 5.2L pulled from the GT350 hiding under the hood, but wouldn’t Dodge and GM love to know. 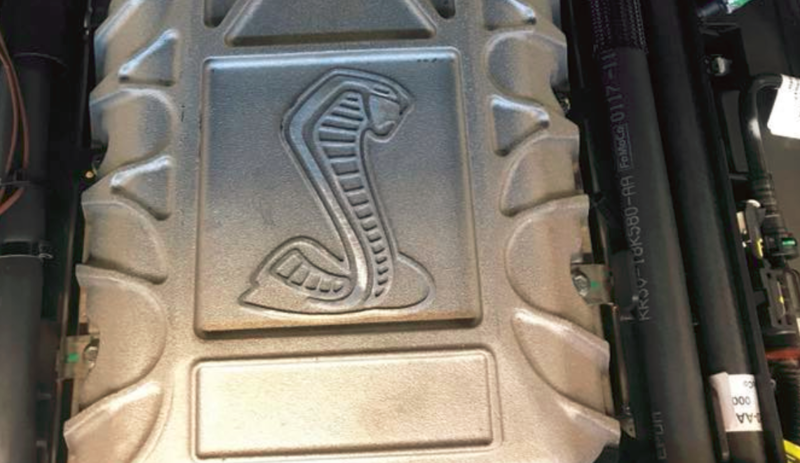 There isn’t even a discernable hood bulge to lead us down a wild path of speculation and blatantly fake news, whatever the car’s spitting out, it’s exiting through what looks like a version of the 2018 Mustang’s new quad-tipped Active Exhaust. The real story today is the tires. Ford’s so secretive about this thing engineers purged almost all discernable markings from the sidewalls of the tires, leaving only “305/30/ZR20” visible on the front tires, just like Chevrolet’s new Camaro ZL1 with the 1LE track package tacked on. 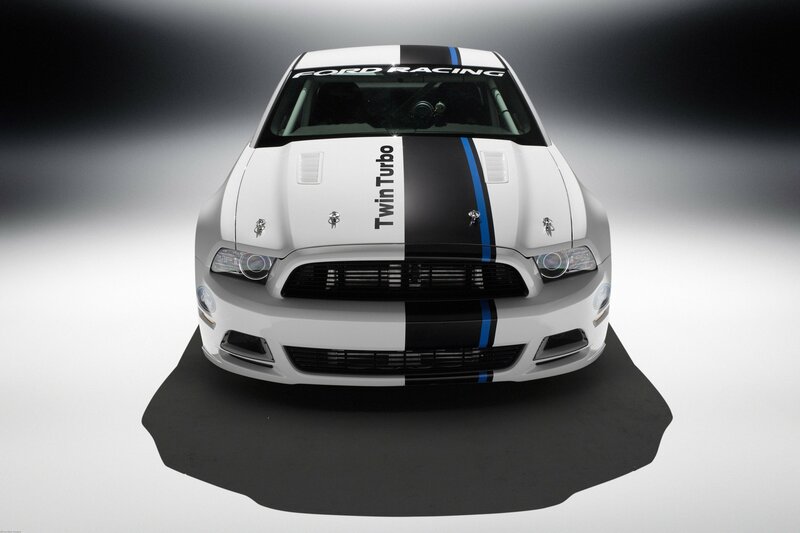 For comparison, the Shelby GT350 uses 295-section fronts and 305s in the back, while the R ups that to 305/315. 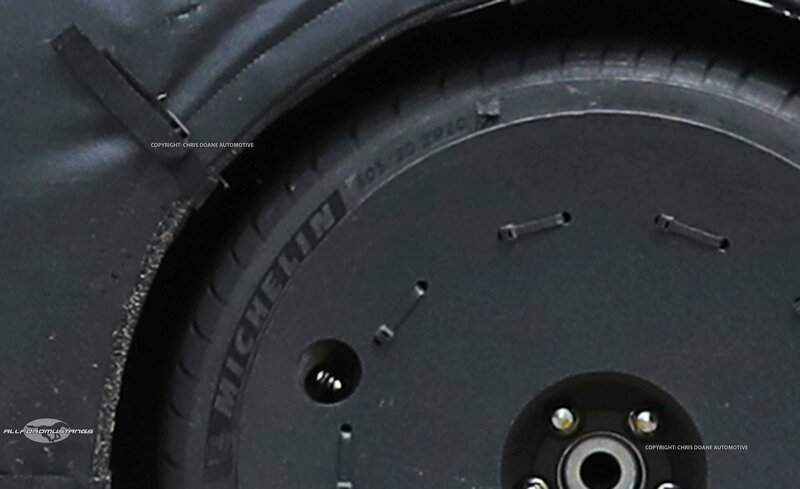 The shooters think the prototype is actually wearing a set of Michelin’s new Pilot Sport 4S rubbers. Based on Ford’s behavior in the past, the wheel covers are probably hiding a set of carbon ceramic rotors, plus calipers that could stop a jet plane. There’s no time frame for when the project will go public, but look for the sightings to increase as we head into the summer.